It’s a life-style thing! The approach of summer naturally conjures aspirations of hot sunny weather and out-door living; anticipated happy family holidays; BBQ’s in the garden, country-side walks beside tranquil rivers, pebbles on the beach, making footprints in the sand along a sea shore and so on … plus … the stress of holiday preparation, congested freeways and busy airports! The latter of course can make us ‘see red’ with frustration (a Fire energy colour)! Hopefully, it’s all worth it though and we’ll end up feeling restored and recharged. Natural relationships! From a TCM 5 Elements perspective, the above scenic examples can be considered evocative, energetic, metaphors: referencing the mental, physical, emotional and spiritual highs and lows of our own personal energy (‘Chi’): the energy that drives us, affecting how we perform and interact with others at all levels, publically and privately. Set me free! Happily, Summer invites us to expose our feet to the world; validating regular pedicures and a couple of new pairs of sandals at least! We want our feet to look pretty and cared for as we set them free. The power of touch: To reflexologists, of course, feet and hands play key roles in reflecting states of wellness. We believe un-checked stress and tensions can manifest into energy inhibitors and health debilitators! Aside from that (as Jane Sheehan knows so well) we can access more information, just by observation! As therapists, we use the combined strength and gentleness of our hands through the sensitivity of touch to identify and unblock the various knots and crystals we discover during treatments; to pare away the residues of stress, allowing feet, minds and bodies to feel ‘foot loose and fancy free! Oh Joy! (By the way, a Fire Element emotion!). The Tides of Life. Wholistic health and energetic states could be likened to the ocean tides, never static, constantly ebbing and flowing. Fundamental to TCM Philosophy, in this context, is Yin Yang Harmony and Balance: similarly, we therapists appreciate it is important to balance giving and receiving actions (tempted to book a holiday?) Caring for TCM Fire Energy properties – not just during its summer season but all year round – can generate a healthy mobilization of personal energy resources and restore emotional balance so important for maintaining positive, healthy, living. Fire Energy in the palm of your hand! Significantly, the Hands are very connected with the powerful Fire ‘Phase’ and its systems because the Heart, Small Intestines, Triple Burner and Pericardium meridians flow through them. 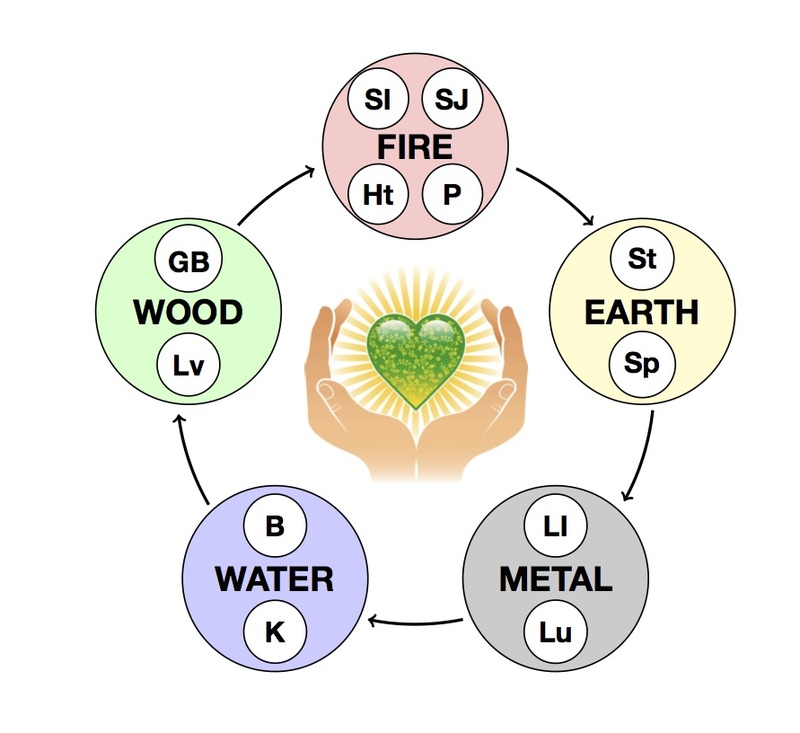 Ensuring this particular energetic family interacts harmoniously with its other 5 Element ‘neighbours’ (Earth, Metal, Water, Wood) therefore avoids the effects of stress ‘burn out’ and erratic emotionalism . “The more aware you become of the energies that your hands give and receive, the more powerfully the healing will flow in both directions” The heart pumps blood. Chi pumps energy! The heart Chakra sends and receives Loving energy. Our hands “feel, send and receive energy”. If you are interested in keeping this current of love flowing via different reflexology hand treatment locations and wider therapeutic horizons for your clients, please join me, Louise Exeter, at my ‘Hands in Chi’ Wellness Links Workshops. For further information please see contact details below. PS Enjoy the summer! 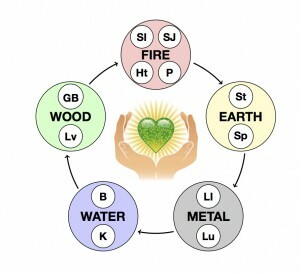 Reach out and touch the 5 Elements – with hands as well as feet … Don’t forget the Red nail-varnish! ← Stories the Feet Continue to Tell © An homage!